In yet another sign that we are all just living in Leslie Knope’s nightmare, the Washington Post reports that on his first morning in office, President Trump personally contacted acting National Park Service director Michael T. Reynolds and ordered him to produce more photos from the inauguration, believing they would prove his false claims about the size of the crowd. 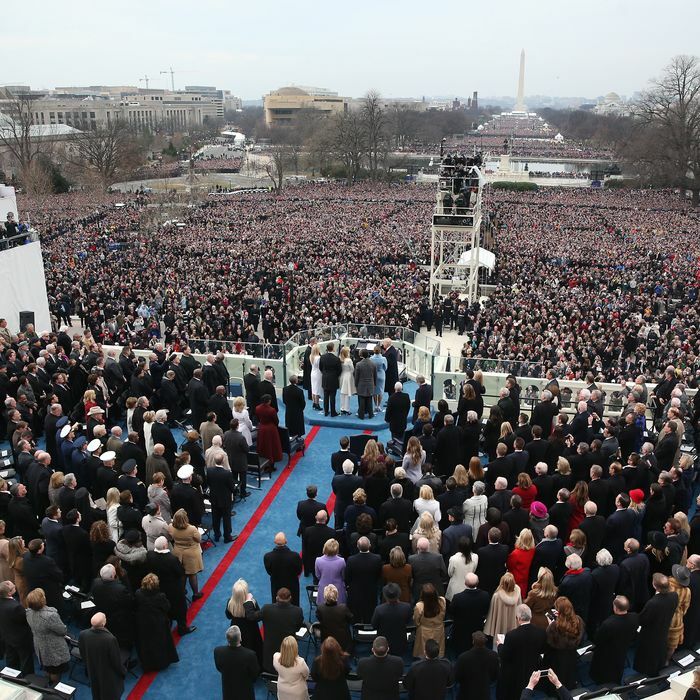 After the call, Reynolds forwarded more aerial photos of the inauguration crowd to the White House, but they did not support Trump’s claim that more than a million people showed up to see him sworn in. White House deputy press secretary Sarah Huckabee Sanders tried to spin the phone call as a sign that, as a manager, Trump is “so accessible, and constantly in touch. Clinton’s so lazy and out of touch that she probably would have spent her first day gabbing with advisers and policy experts rather than trying to prove her personal theory on how many people watched her be sworn in.